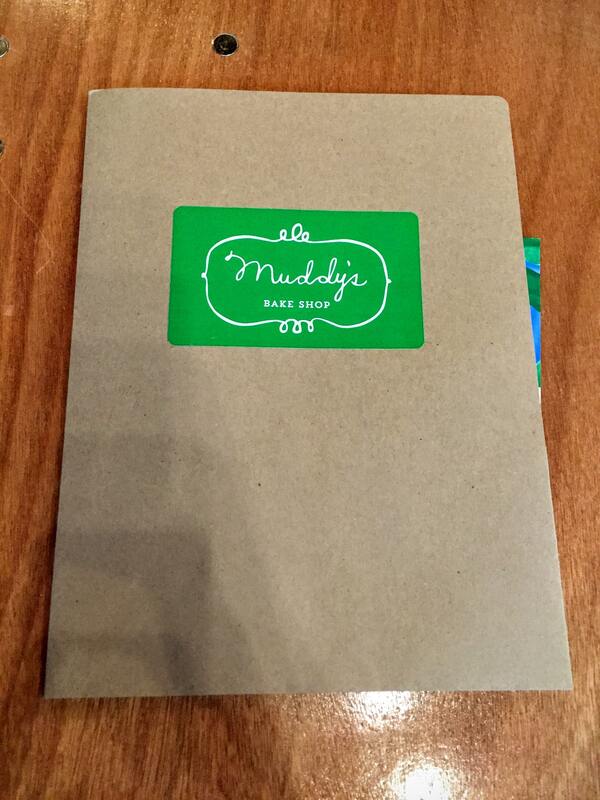 Home ❭ Adventures ❭ Muddy’s Bakeshop Tour! Before I get into the tour, let me brief you a bit on Muddy’s. Founded by owner Kat Gordon, Muddy’s opened at its Sanderlin location in 2008. Muddy’s bakery originally operated out of the Sanderlin store, but they soon outgrew it after gaining loyal fans from all over Memphis. 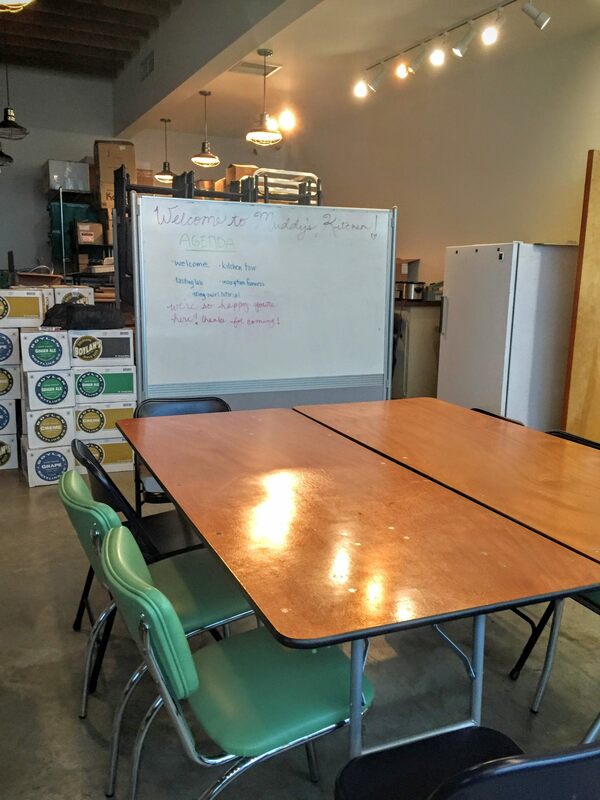 The organization’s next step was to open a kitchen that would provide additional space for baking and decorating inventory. Muddy’s most recent venture is a bake shop/coffeehouse on Cooper Street, affectionately named the Grindhouse. All three locations have a warm, colorful vibe and decor, complete with unicorns and gnomes. I signed up to go on the tour about 3 months ago, and I got my fellow foodie friend, Sarah, to come with me. We were excited at first, but we put our anticipation on hold until yesterday, when we started texting each other about the tour, as groupies do. We arrived about 10 minutes early, which gave us some time to take in the atmosphere of the Muddy’s kitchen and stake out the best seats in the house. The kitchen is housed in a reclaimed warehouse, and Muddy’s shares the space with the Collage Dance Collective, a local dance group. 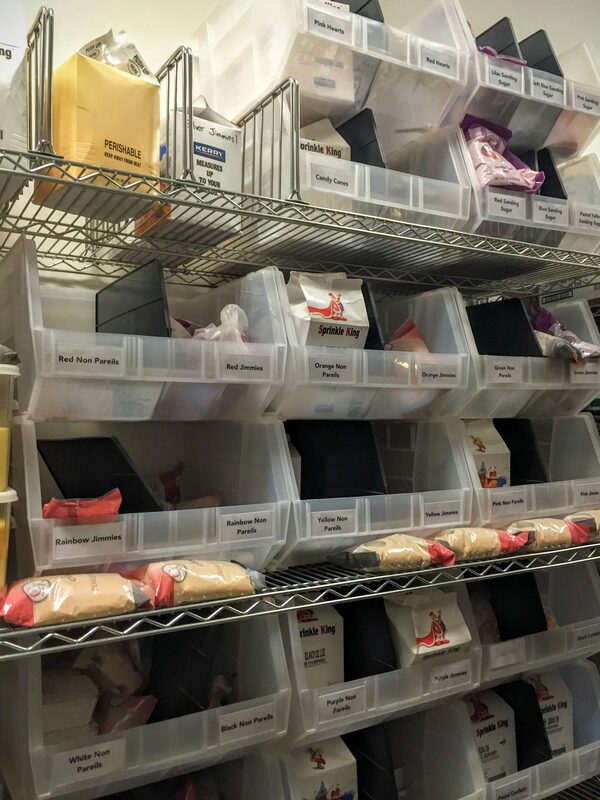 Once all 17 of us arrived, plastered name tags on our chests, and were seated, Janine, a high-ranking member of Muddy’s admin team, and Bridget, production manager of the Muddy’s Kitchen, gave us an overview of Muddy’s. We learned about the birth and development of Muddy’s as we know it and got to hear about their experiences working with Muddy’s. Following their intro, they split us into two groups: one group would stay with Janine and practice decorating while the other group (mine!) would tour the kitchen with Bridget. You don’t even know how difficult it was for me not to shove past all of the other tourgoers and launch myself into the kitchen. Restraint kicked in, though, for the most part ;). The agenda for the tour and decorating table in the Flex Room. Folder containing tasting info sheets, recipe for krispy rice squares, summer look book, and a rather large (bumper?) sticker with a gnome and unicorn. 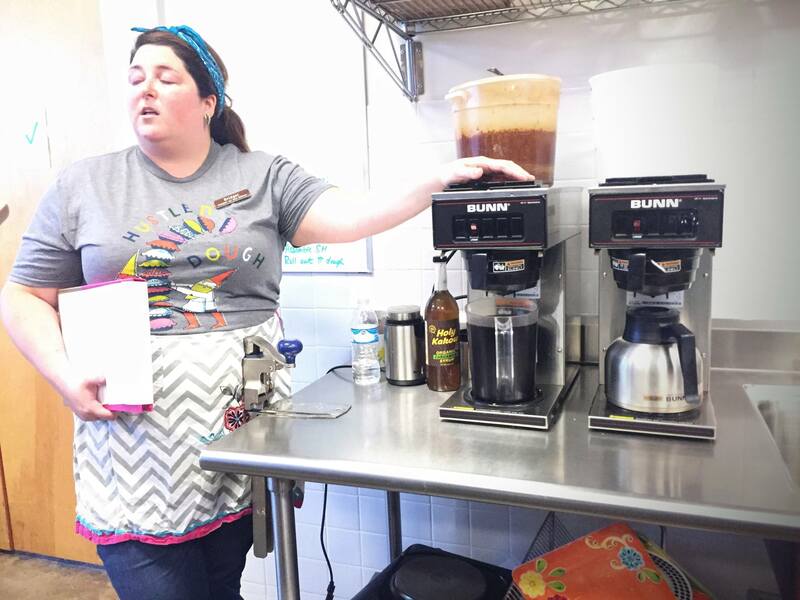 Bridget took us through each of the fundamental zones of the kitchen, beginning with the coffee maker. #priorities. As we walked through, she introduced us to each baker who was on that “station” and explained that specific realm of the kitchen. We even got to try our hand at a few of the tasks that comprise the bakers’ daily routines. The sheeter, which bakers use to roll out dough for cookies. It has a foot pedal that allows you to crank the dough back and forth under the roller until it reaches the desired thickness. Side note: Muddy’s HAND ROLLS all of their pie dough! All of it! And the day before Thanksgiving last year, they sold +400 pies!!! 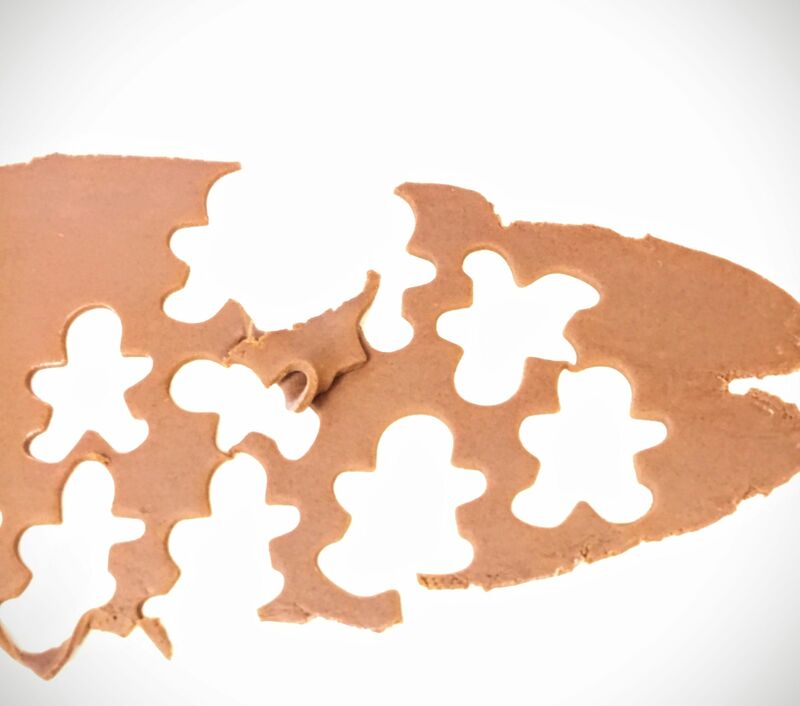 Gingerbread cookies getting prepped for Christmas in July! The stash of sprinkles was UNREAL. 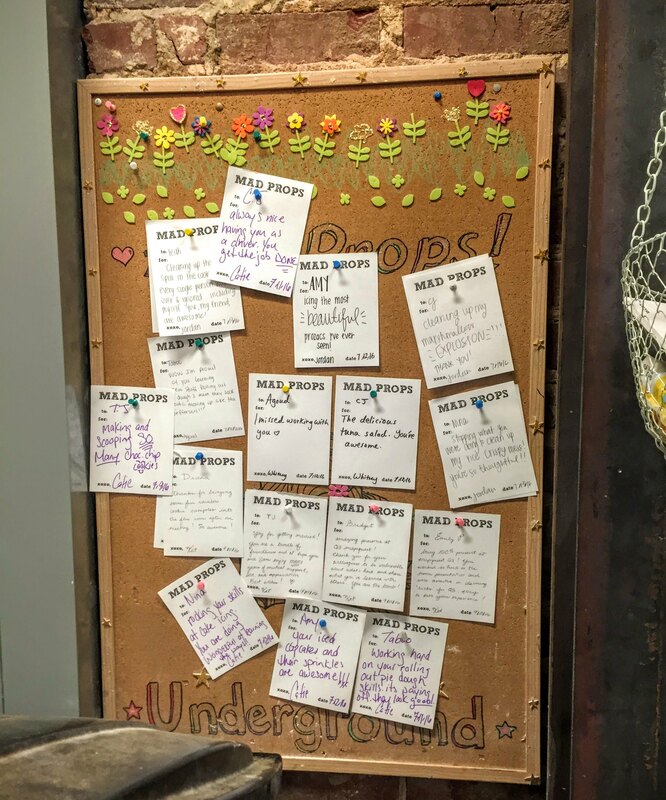 As we continued and ventured into the cleaning closet and storeroom, we stopped by this “Mad Props” board, which is where Muddy’s employees write shout outs about/for each other. 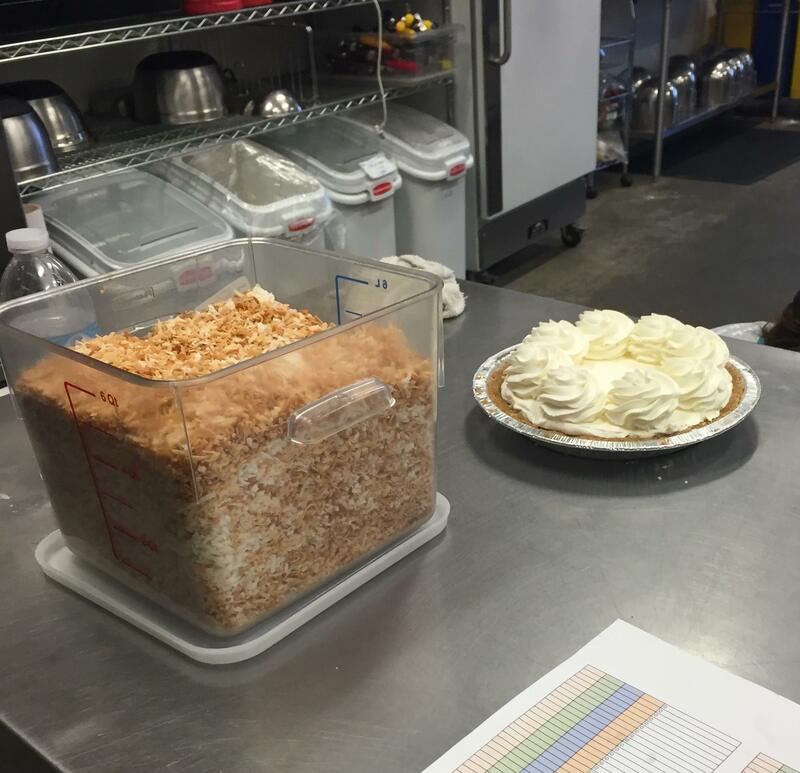 Once back in the kitchen area, we got to see a baker top off this coconut cream pie! Check out all of that toasted coconut! 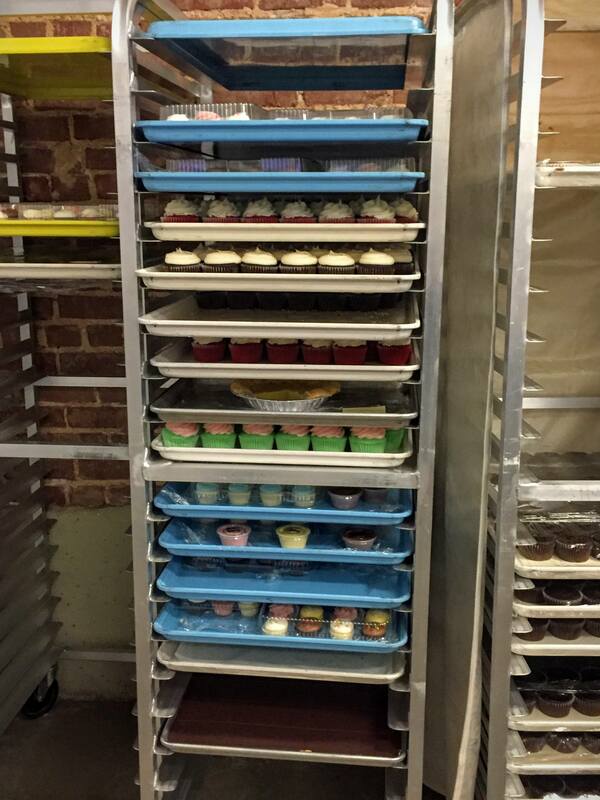 We walked by the huge walk-in freezer and then by these trays of cupcakes. 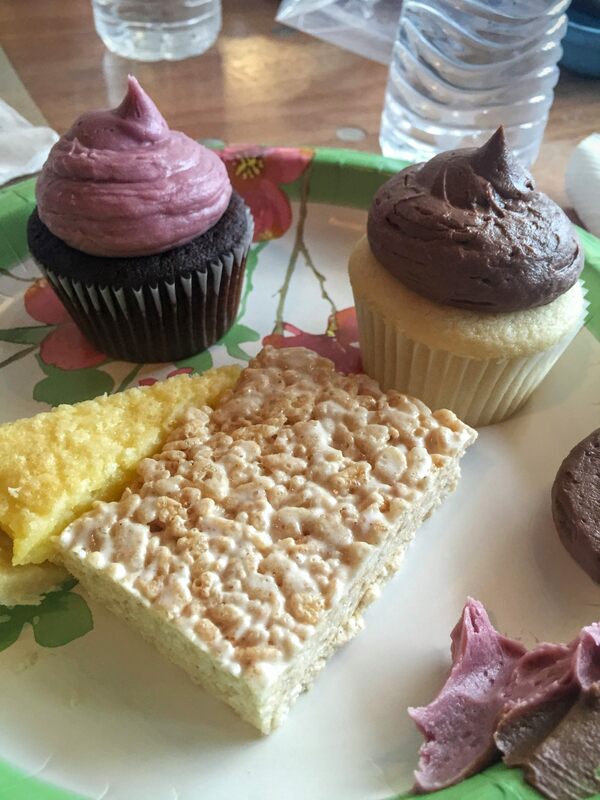 The color of the tray signifies the Muddy’s location where the cupcakes will end up! 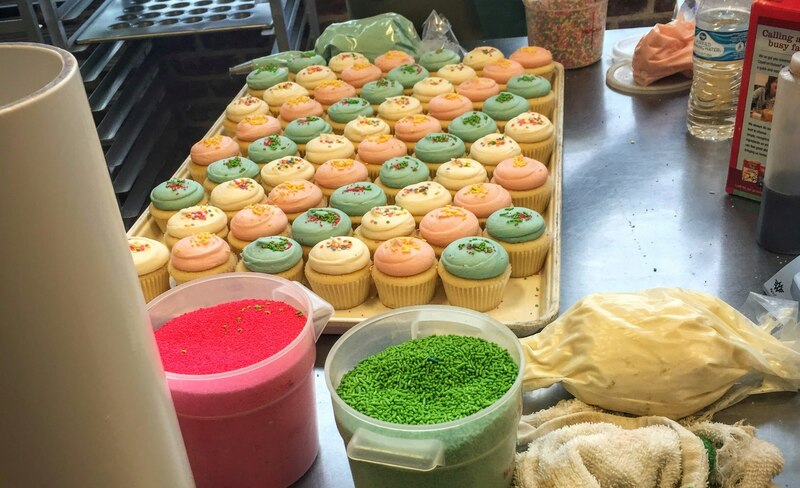 Before we wrapped up our kitchen tour, we stopped by to watch a baker frost cupcakes and mix batter. I kid you not- the mixer was 4 feet tall! It was INSANE. Although it meant free (!) samples (!) of four different Muddy’s items (! ), I was more excited about the kitchen tour than the decorating and tasting. For starters, I don’t own any kind of piping equipment; I’ve only recently ventured into cutting tips off of Ziploc bags. I’m so fancy. BUT- I tried to go in with an open mind. One of the first things I saw when we walked into the building were these piping bags full of frosting. They were for our decorating portion of the tour, and they contained chocolate icing and red wine icing (yes, I said red wine!!!)! 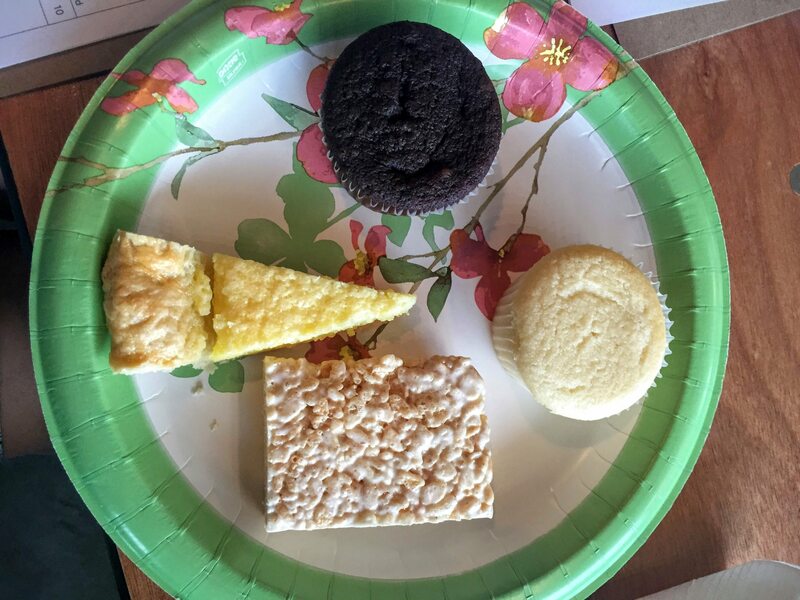 Our plate of goodies to taste and decorate included a chocolate cupcake, a vanilla cupcake, a rice crispy treat (for tasting), and a piece of lemon chess pie. YUM! 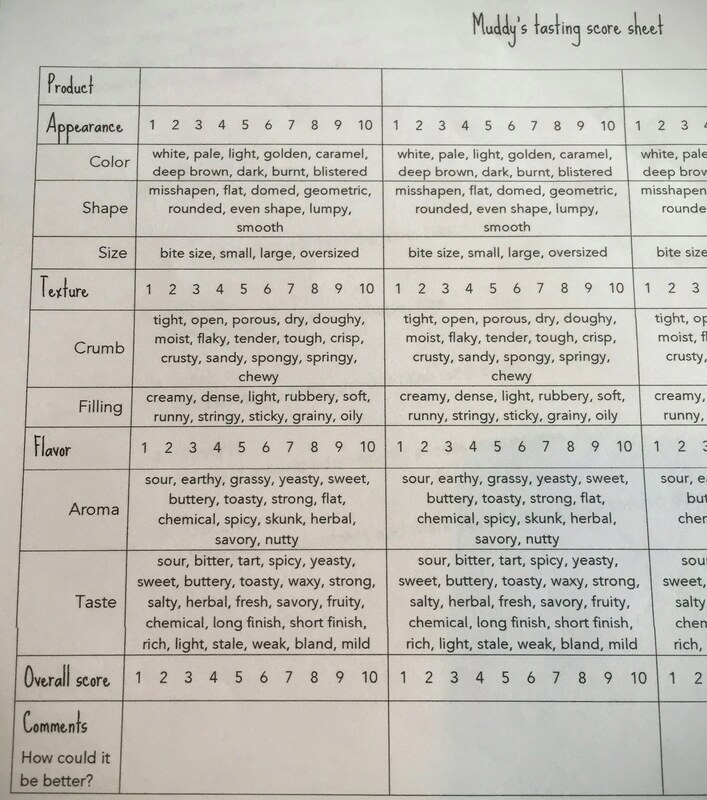 We started by taste testing the different ingredients. I loved reading the descriptions, but I didn’t dig ripping their flavor profiles apart. I just wanted to enjoy it. You should know, though, that the Muddy’s staffers take this very seriously and analyze new/developing items in-depth before rolling them out. After tasting, we moved on to decorating! 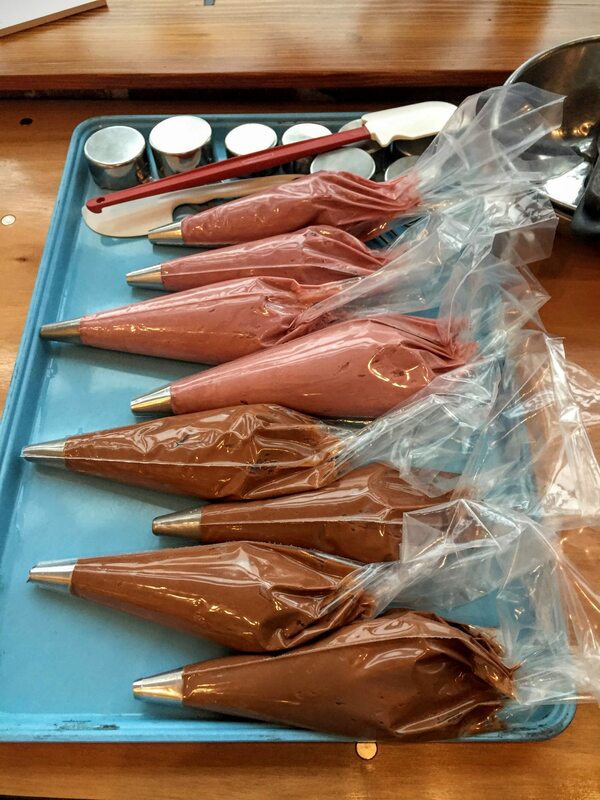 The big tray of piping bags was handed over to us, and we were encouraged to practice on the bottom of measuring cups before frosting the cupcakes. 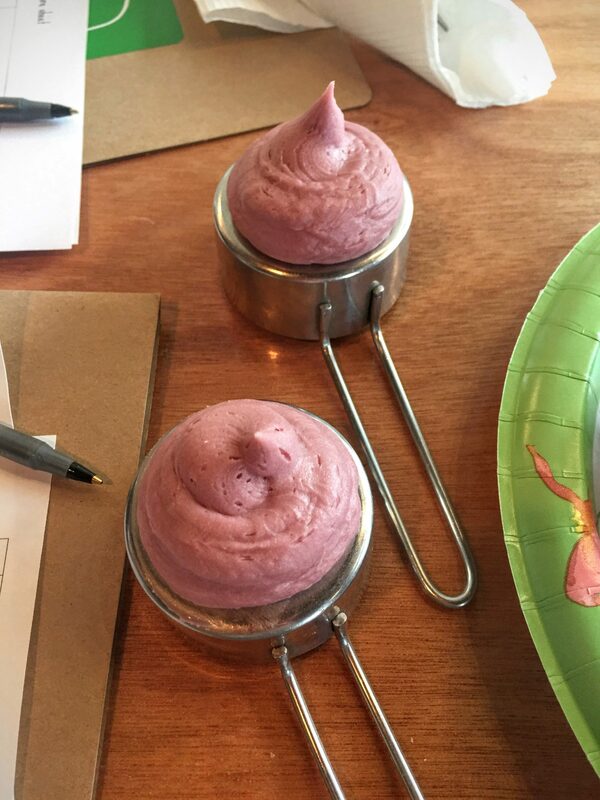 Muddy’s uses these because bottom surface of the measuring cups are about the same size as a top of a cupcake. So my “flick of the wrist” skills weren’t perfect, but here’s how my frosted cupcakes turned out (better than ones I’ve decorated without a piping bag in my kitchen!)! There was no better way to close out our tour than to practice attempting cake lettering. 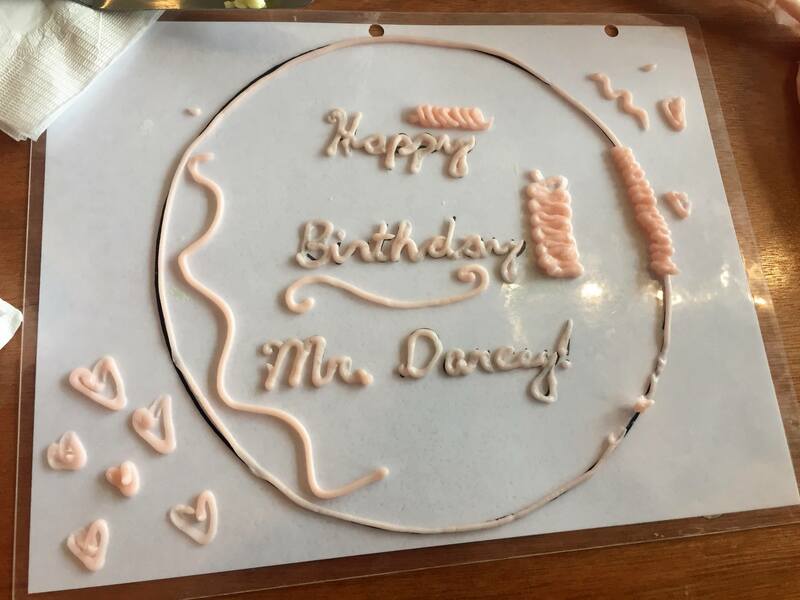 Let me tell you-I wish stencils magically appeared on tops of cakes like this! Lettering is NOT my strong suit, but I made sure I got in a bunch of practice :)! Of course, Sarah and I took a selfie after our tour concluded! 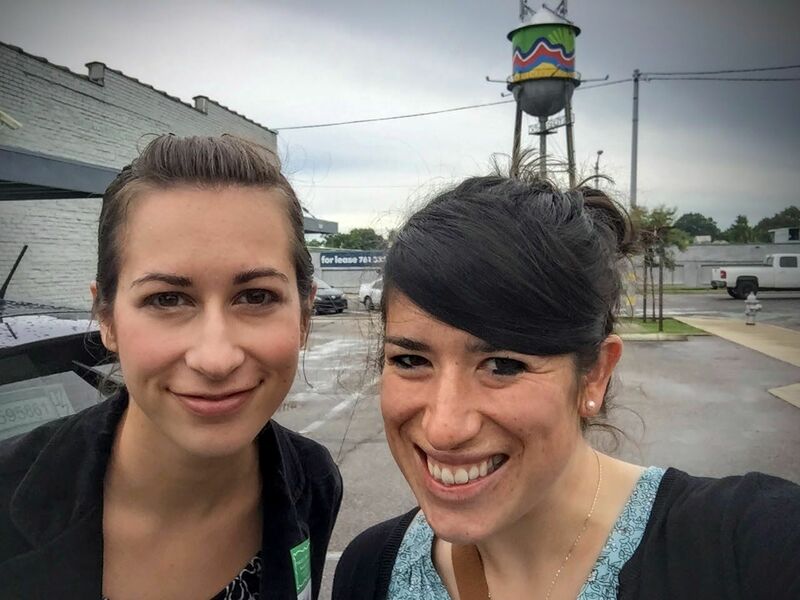 We enjoyed touring (and eating) Muddy’s, and we highly recommend that you schedule a tour! Click here to go see Muddy’s behind the scenes for yourself! It is so cool that you got to take a tour of Muddy’s to see how all of the magic happens! I especially like the Mad Props board that you showed of how the employees give each other props when they do something good! I’m sure this makes working there rewarding! What was your favorite part? Hi Taylor! The Muddy’s tour WAS cool, and I highly recommend going on it if you get a chance. My favorite part was… (Did I leave this out of the post in the name of neutrality? WEIRD. That’s unlike me.) being in the kitchen. 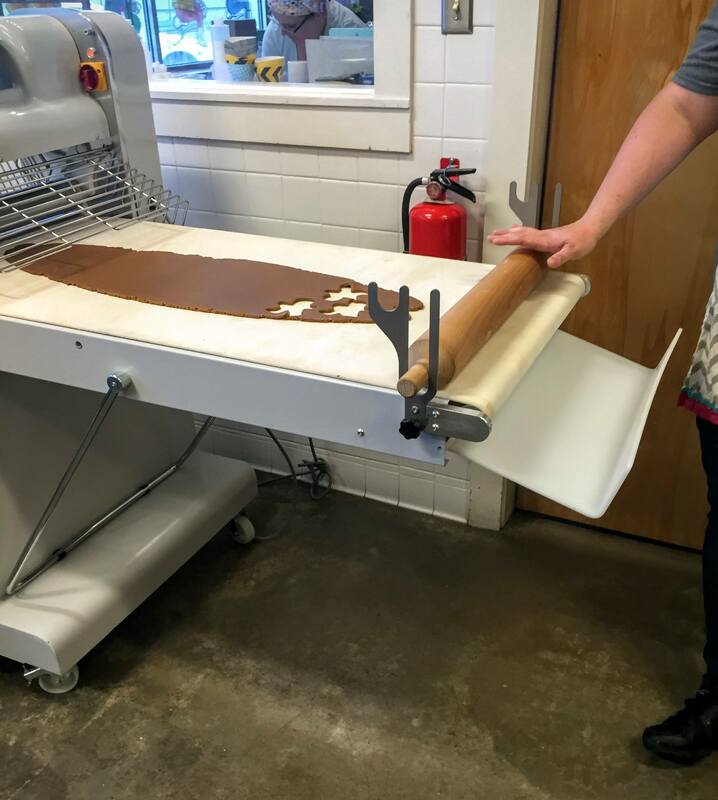 I loved learning about the behind-the-scenes tricks of making Muddy’s products, seeing how everything is made on a HUGE scale/in bulk, and seeing the tools for baking. Let me know if you get to go!